Improve utilization and ROI, prevent shrinkage, and save on replacement costs with the RTI tracking system from Litum. Using radio frequency identification (RFID) tags and readers, companies that lease and provide returnable transport items can keep better track of their assets in the supply chain. Litum provides the transport unit tracking software and hardware needed to make better use of your RTI's. Our system will log the movement of assets from one facility to the next, to retail locations, and to customers. Know what items you have in inventory, where they are at any given time, and length of time in each person's custody. The returnable asset management system is adaptable across multiple industries, including mining applications, industrial facilities, food production, and hospitals. 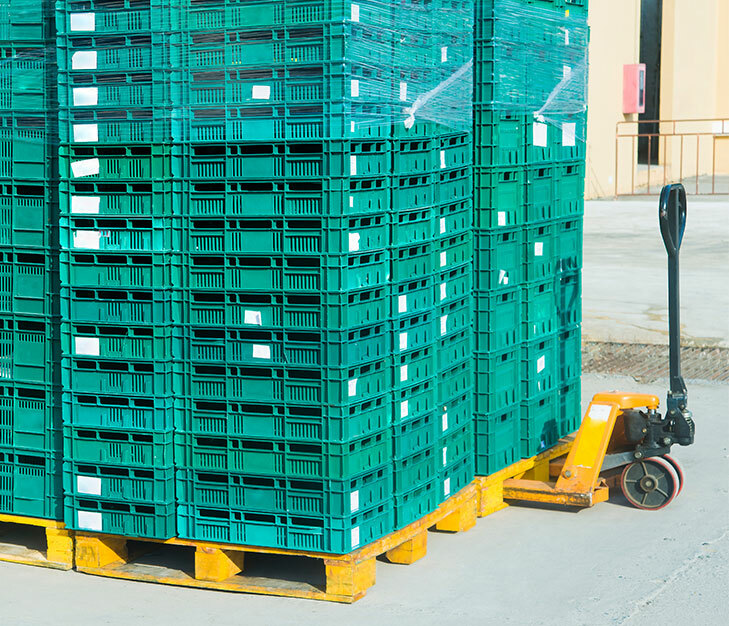 With the frequent shipping needs of many manufacturers and companies, it is easy to lose track of returnable transport items leading to shortages, shipping delays, and added replacement costs. Keep your company operating smoothly with RFID transport item tracking software that maintains an automatic count of these assets at each facility. When loaded crates and pallets pass through gateway readers the system instantly updates to reflect the movement of each RTI. Easily integrate the RTI tracking software with any pre-existing ERP or SAP software system. Manage and monitor individual transport items by multiple features, such as RTI Location, Assigned Department, Cost Center, Maintenance Schedule. Use our system for in-depth RFID pallet tracking across various retail locations and facilities. Identify which RTI were sent to which locations and whether or not the asset has been returned. You can even assign RTI to another facility that requires additional transport items for their production needs. Litum RTI tracking system provides companies with a comprehensive overview of their assets throughout the production and supply chain. The Litum RTI tracking system is straightforward to implement and utilizes durable, yet affordable RFID tags and labels to track RTI units. Since 2004, we help companies improve production and shipping speeds to stay competitive.